Satokoay Historical Site are two adjacent, giant stone pillars. Their respective heights are 5.75 meters and 3.99 meters. They are located on a mountain slope north of the Wuhe Terrace in Ruisui Township. They face the Hongye River Valley, which has an expansive view. According to Ami tradition, several hundred years ago, as a group of Ami people came to the Wuhe Terrace to do land reclamation, they suddenly encountered a storm, and quickly picked up some nearby wood planks to protect themselves from the rain. 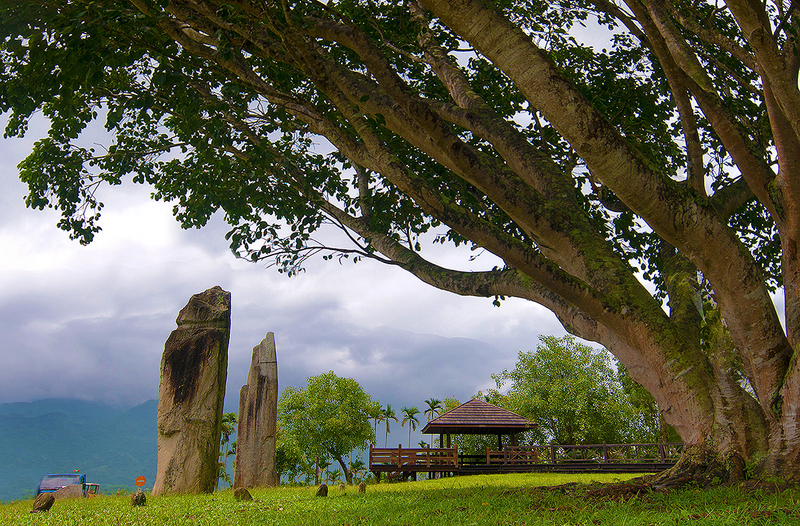 Because the Wuhe Terrace is the traditional home place of the Ami people, many myths and legends concerning the Stone Pillars can be found. According to one story, when an Ami was building a house, he had to encircle the building area, singing a prayer song passed down from his ancestors. If he made a mistake when singing, he would be blown away by a big wind, and everything would be turned to stone. Thus, the Stone Pillars are the result of two people who sang the prayer song incorrectly. According to another story, an Ami chieftain’s wife gave birth to twins, one of whom was black, and the other white. The tribal members decided that this was an unlucky omen. In order to protect the village, the chieftain tied these children to the wooden pillars in front of the village gates, and the village then moved to another location. These children were then changed into the stone pillars, forever standing in front of the village gates. In actuality, according to the research of cultural relics dug up from nearby archeological excavations, the Stone Pillars are relics of the "Beinan Culture" dating back to the late new Stone Age era, which goes back around 3,000 years. 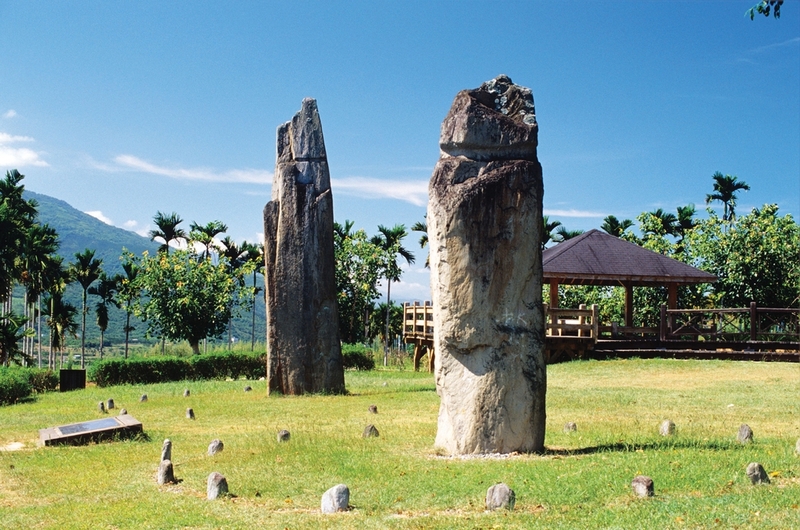 As these are Taiwan's only prehistoric cultural relics, the Department of Internal Affairs has determined the Satokoay Historical Site to be a third grade national historic monument. But where did these very heavy stone pillars come from? Who transported these pillars, and set them here, and by what means? This is a mystery which to this day nobody has been able to fathom, adding to the mysteriousness of the Satokoay Historical Site.